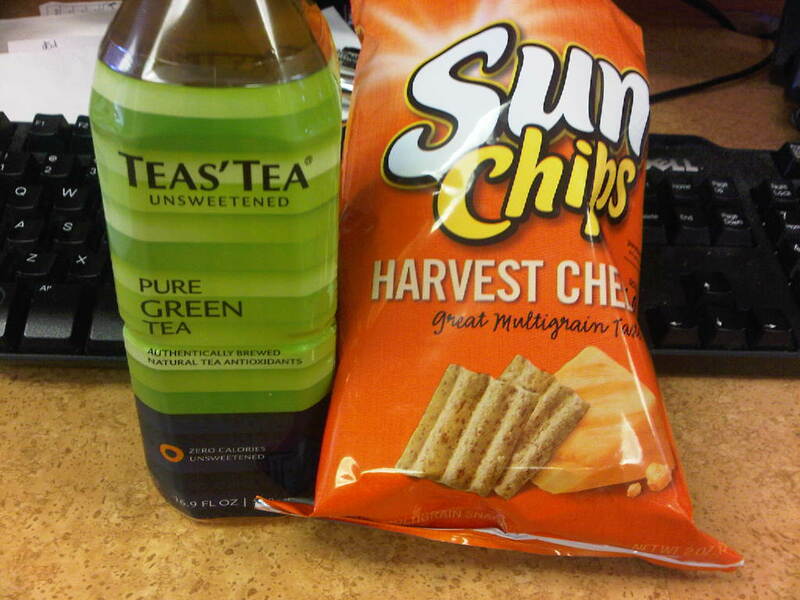 Today when I went to the local Deli store to pick up a snack. 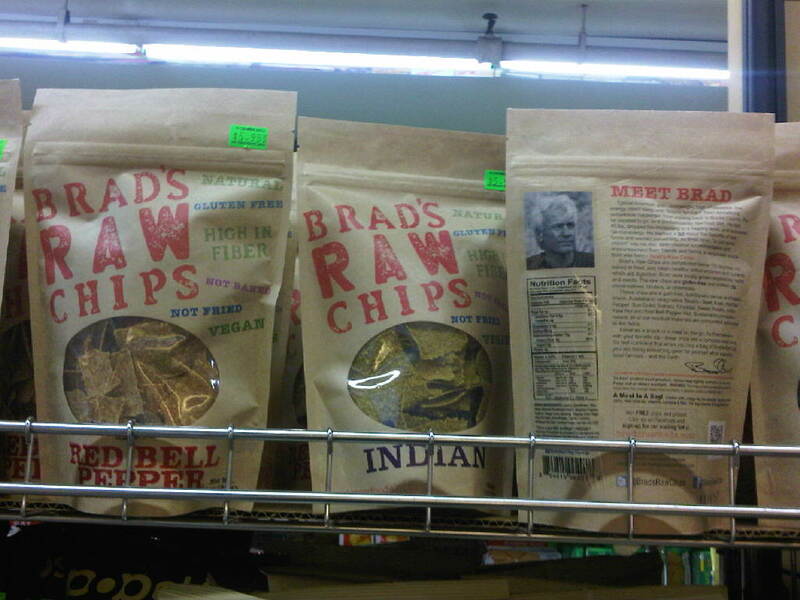 I noticed some new brands, that had found a home at this Deli.As my eyes wandered through the assorted collection of chips, I saw a strange looking packet on the topmost shelf. 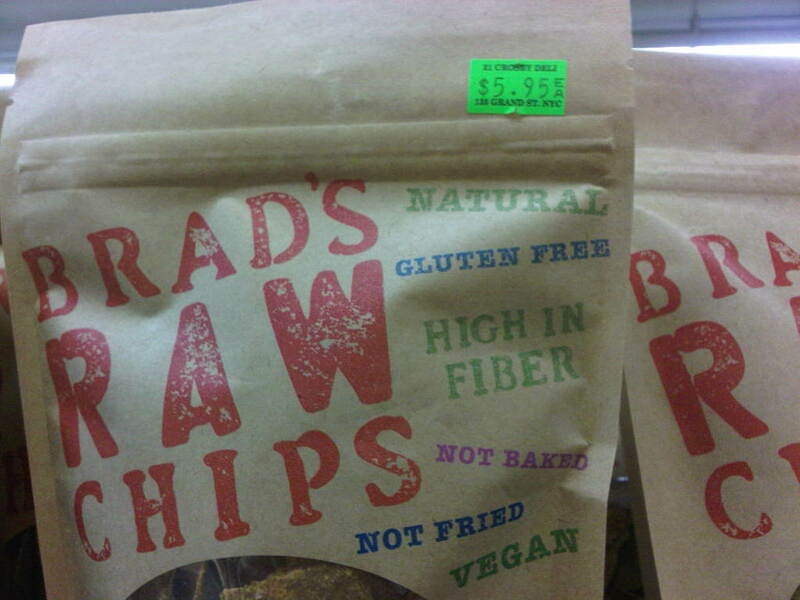 It had a price tag of $5.95 and was called “Brad’s Raw Chips.”I had to rub my eyes few times to see the price tag. 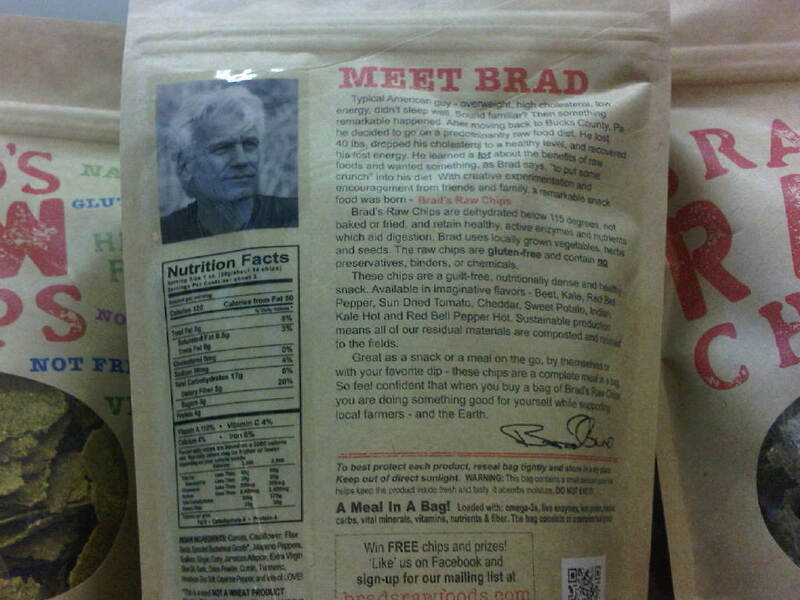 It sounded very interesting and I was tempted to try one but… I preferred to go with my good old brand – “Sun chips” and headed to the Juice section. All of a sudden, I was almost blinded by the bright ray that was coming from refrigerator. 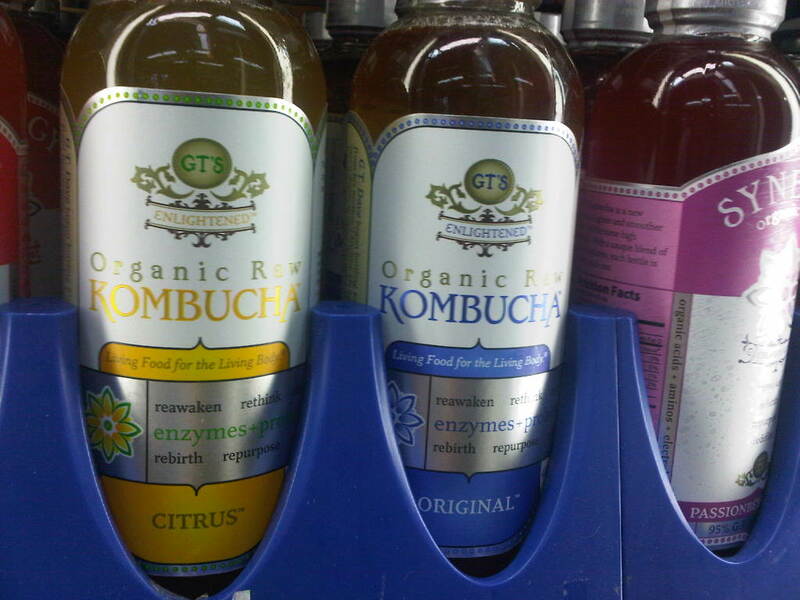 As I opened the door ,I saw a “halo” around the juice bottle that went by the name “Kombucha” and was labelled as “Enlightened.” It was a “Living food for the Living Body.”(Don’t quote me on this, I am only writing what was on the label: ) ) They might as well call themselves the “living Buddha.”Maybe they are saving that name for that “ultimate drink.” Wow!! 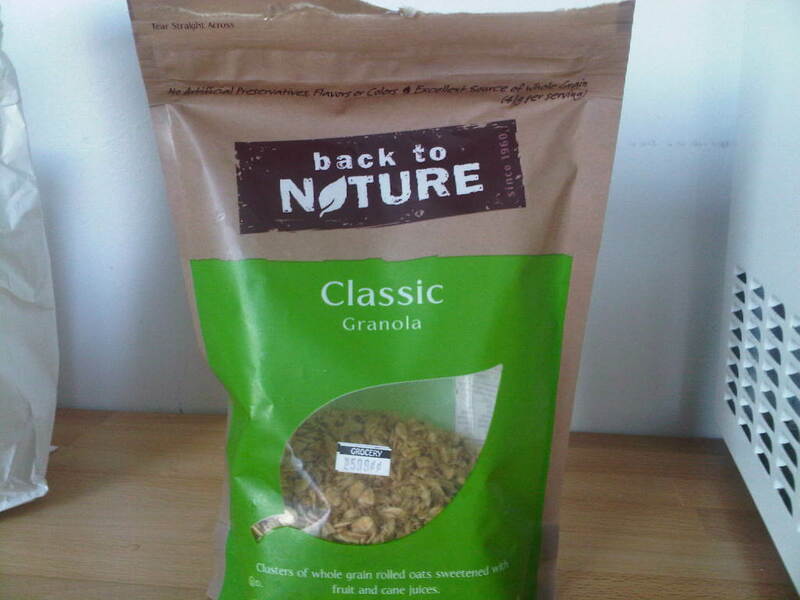 I didn’t know that raw and organic food had such impact on the human mind & body!! This sounds more fun than Yoga or the Gym. 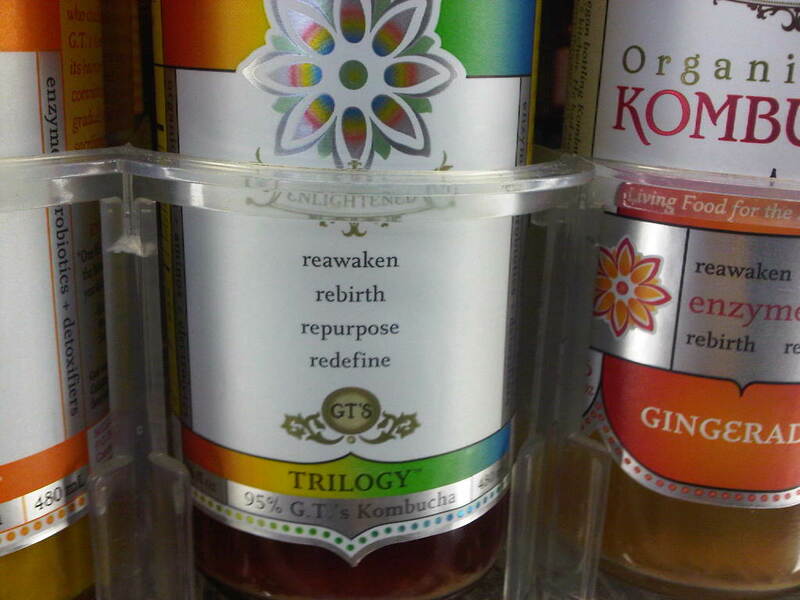 fyi – this drink also helps you to “reawaken, rebirth, repurpose and redefine” your life.